Rama Ekadasi occurs on the dark fortnight (Krishna paksha) during the month of kartik – North Indian Calendar and Puratassi month of Tamil calendar (Oct-Nov). It can also be remembered with the onset of Diwali festival. It occurs four days before Diwali. This ekadasi is also called as ‘Rambha Ekadasi’ or ‘Kartik Krishna Ekadasi’. Who is /are the protagonist of this event? It is Lord Vishnu and his consort Goddess Lakshmi. When does the fast begin and end? What is the food that we can consume? Fasting is one of the important rituals for the Ekadasi. Devotees begin the fast on the previous night of Ekadasi. They restrict to the consumption of saatvik food. 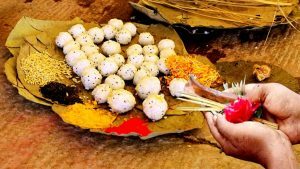 They do not consume food on the ekadasi day. They consume food only on the twelfth day. 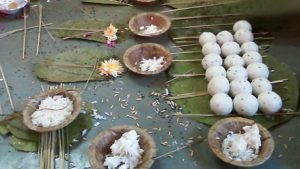 A strict No to rice and grains on Ekadasi, but Why? What do people do on ekadasi day? As a part of their mundane activities, Devotees rise early and take a holy bath. They offer objects with redolence to Lord Vishnu and pray to him. Most of them prepare a special meal for the deity. Finally the aarathi is performed and Prasad is distributed to the members of the family. People sing bhajan to keep themselves awake. Read ‘Bhagavad Gita’ on this day, atleast a few lines. As per ‘Brahma-Vaivarta Purana’is it believed that those who fast on Rama Ekadasi are cleansed of their sins, including the Brahmahatti. The observer also overcomes all the obstacles in his life and achieves massive success. Not able to fast for some reason, but would like to receive the blessing? 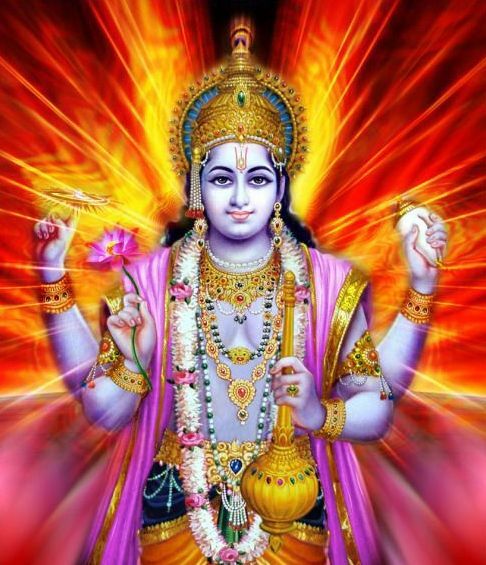 A devotee who listen or reads about the glories of Rama Ekadasi will attain salvation and reach the abode of Lord Vishnu.